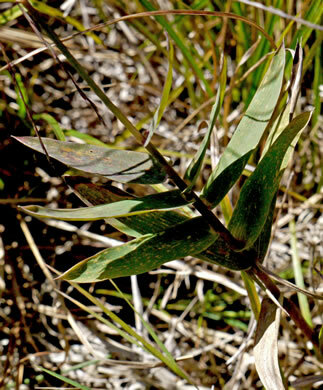 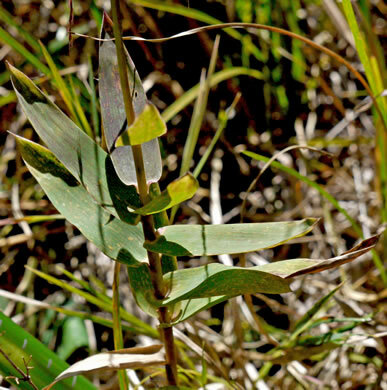 Leaves cordate-clasping & stiff-textured [whereas few Dichanthelium are both], per Weakley's Flora. 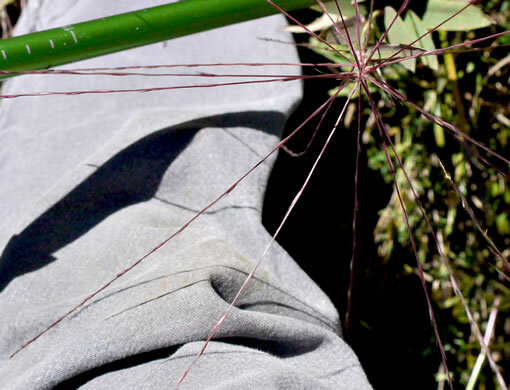 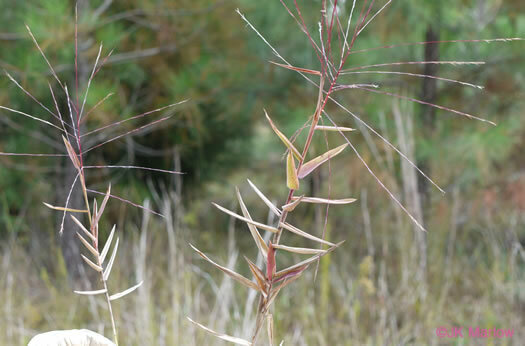 Long slender divergent or reflexed spikes set close on a slender stiff axis, per Manual of the Grasses of the United States. 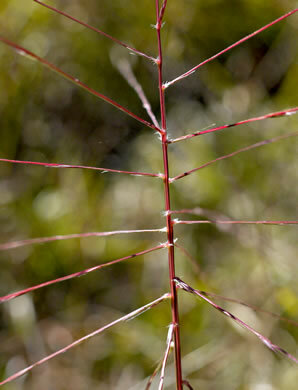 Spikes 10-20cm long, per Manual of the Grasses of the United States.